When it comes to building muscle, many people turn to drugs. However, many other people (myself included) choose not to use drugs. The problem is that many natural lifters follow the training methods of those using drugs. If you want to build lean muscle without drugs, you need to go about things a little different than you would if you were using drugs. Here is how you can build natural muscle. When you use drugs, you can handle a high volume of training and still recover effectively. 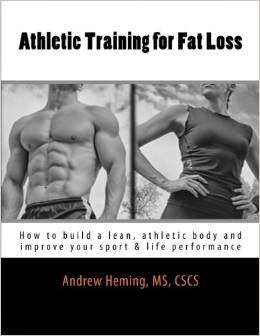 This allows you to do several long sessions per week and add ton of inferior exercises. Without the use of drugs, you will not be able to handle as much work. Therefore, you have to ensure that each exercise you use is the best of the best. While a small amount of isolation exercises can be helpful, make sure the large majority of your exercises are big, compound movements that allow you to feel the target muscle(s), not beat on your joints and progressively add weight. Big exercises leg exercises like squats and deadlifts are great for packing on muscle. This may be because they cause an increase in testosterone (however, it is questionable as to whether this level is sufficient to result in more muscle gain). Regardless, there is another reason that needs to be considered here – survival. When you have a heavy barbell on your back, you essentially give your body the message – you are about to get crushed! Your body is made to respond to stress and it takes a survival threat like this very seriously. Heavy, intense lower body training build not only great leg muscles but helps get your whole body into growth mode. This is why routines focused on a heavy, 20-rep near-death set of breathing squats were such a big hit in the pre-steroid era. I don’t care how hard you work on concentration curls; you will not get this same benefit. Unless you are a true genetic outlier, most natural trainees will not be able to build much muscle on light-weight, high-rep pumping routines. If you study the history of the iron game, you will find that most bodybuilders in the pre-steroid era were crazy-strong. Even in the 70’s (the pumping iron years) which many consider to be the golden age of bodybuilding, when there was some drug use, most of the best guys like Arnold and Franco Columbo were really, really strong. If you are serious about building muscle without the use of drugs, you need to lift some serious weight. Many smart bodybuilders have figured out that high reps work very well for building muscle – if you are on drugs and are strong enough to move some serious weight on those high-rep sets. However, most natural trainees do better with lower reps and heavier weight. When it comes to building natural muscle, emphasize the 5-8 rep range. You can still use some lower reps (e.g. 3’s) to building strength and place even more mechanical tension on the muscle. You can also use higher reps (10+) to create even more metabolic fatigue. This can be helpful for more advanced lifters and work great after your lower reps and can work really well with the legs. Note: beginners and those who with a dominance of slow-twitch muscle fibers can grow with higher reps.
You need a decent amount of volume to build muscle. The exact amount will differ from one individual to the next. Some go the extreme of 1 set to failure while others use really high volume. If you remove those with elite muscle building genes and those using drugs, you are left somewhere in the middle between these two extremes. Too little volume and you will not stimulate hypertrophy. Too much and you will over-train. Through trial and careful record keeping, you can find your sweat spot. For a general starting spot, try about 40-100 total reps per body part per week (this can vary based on individuality, how heavy you go and the size of the muscle - smaller muscles may need even less). These reps can be done in one session per week per muscle group (e.g. a body part split) or split over 2-3 sessions per week per muscle group. Look for about 3-5 total training days per week depending on how you arrange things (e.g. 3x per week for whole body, 4x per week for upper/lower split, 5xper week for body part split). The world of bodybuilding is famous for bulking and cutting. However, people forget that drugs play an important role in being able to build muscle and get really lean without losing muscle. When natural lifters try to bulk, they end up gaining a bunch of fat along with some muscle. Then, when they try to lose the fat, they lose most if not all of the muscle. The net result is minimal muscle gain at best. In addition to not being healthy, bulking also means that you spend half the year fat and the other half suffering through a torturous diet. If you are without chemical assistance, eat mostly clean/whole/non-processed foods. Shoot to be just enough over your calorie maintenance level to start see the scale slowly climb. Coach Dan John wisely advises that muscle gaining needs a singular focus. Many effective training programs have been rendered useless by adding a bunch of cool, unnecessary extras. If you have other goals (e.g. speed training, conditioning, etc.) put them on hold while you devote a solid chunk of time to building muscle. Then you can switch to maintain your new muscle while you pursue other goals. Sleep allows you to build muscle and recover from intense training. While there are endless things you could be doing with your time at night, spending time sleeping will make a huge difference in your results. Also, while you don’t want to be a couch potato, avoid other intense physical activities. Don’t be the person who trains hard in the weight room and then blows all that hard work with 2+ hours of pick-up basketball. Stress pumps your body full of cortisol and puts you into a catabolic state. If you do not have the luxury of drug-assistance to keep your hormonal levels optimal for muscle growth, you better do what you can relax and keep your stress levels down. Avoid worry, prioritize important tasks, learn to say “no” so you don’t over-commit and develop the habit of staying calm. As you get more advanced, various intensity techniques can help you bust through frustrating training plateaus. However, these same techniques can quickly lead to burnout – especially without chemical assistance. In bodybuilding magazines and websites, you will often read about bodybuilders using 400g+ of protein per day. While this may in part be to help sell protein supplements, it seems that steroids enhance protein synthesis. I have personally experimented with 400g of protein and it didn’t make any difference compared to 200g. Once you are getting sufficient protein (about a gram per pound of body weight), focus on getting the rest of the calories needed to get you into a surplus from healthy carbs and fat. How much muscle can you build without drugs? That is a difficult question to answer as it will depend on how hard you work (in the gym and the kitchen), how well you recover and your genetics. There are a number of theories out there and trainers who have offered estimations based on their experiences. Some say about 50lbs (which was true for me), but certain people may be more or less. Here is a sample Maximum Muscular Bodyweight and Measurements Calculator. One research-supported way to gage muscular potential is with the fat-free mass index (click here to calculate your fat-free mass index). Research published in the Clinical Journal of Sports Medicine calculated fat-free mass index of 83 athletes who used steroids and 74 natural athletes. They found that natural athletes had a limit of about 25 on the fat-free mass index.